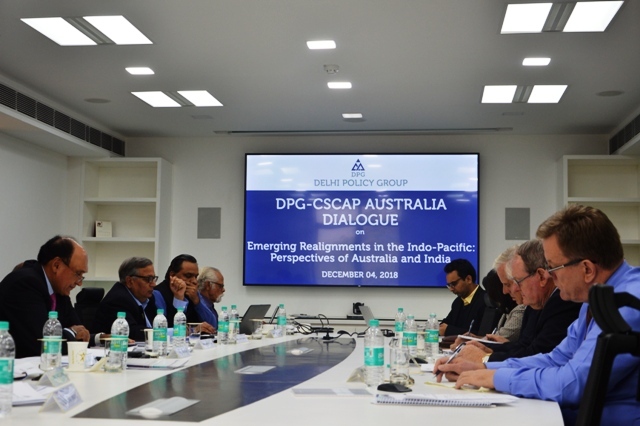 The Delhi Policy Group invited a delegation from CSCAP Australia for a dialogue on “Emerging Realignments in the Indo-Pacific: Perspectives of Australia and India.” The dialogue was held on December 4, 2018. The dialogue commenced with a welcome address by Ambassador H.K. 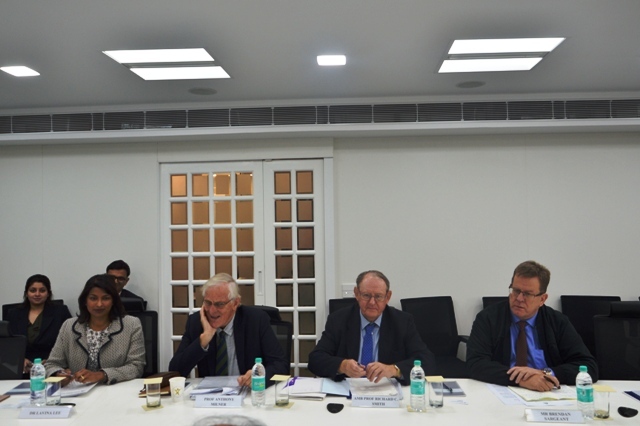 Singh, Director General, Delhi Policy Group and opening remarks by Ambassador Prof. Richard Smith, Co-Chair CSCAP Australia. 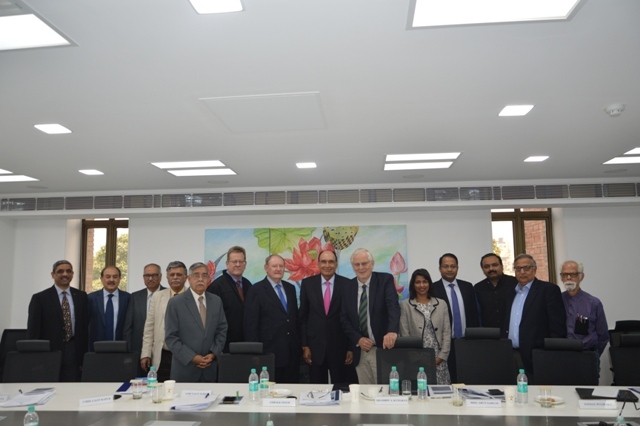 The other members of the Australian delegation included Mr. Brendan Sargeant, Honorary Professor, Australian National University; Prof. AnthonyMilner, Co-Chair AusCSCAP and International Director, Asialink, University of Melbourne and Dr. Lavina Lee, Senior Lecturer, Department of Modern History, Politics and International Relations, Macquarie University. 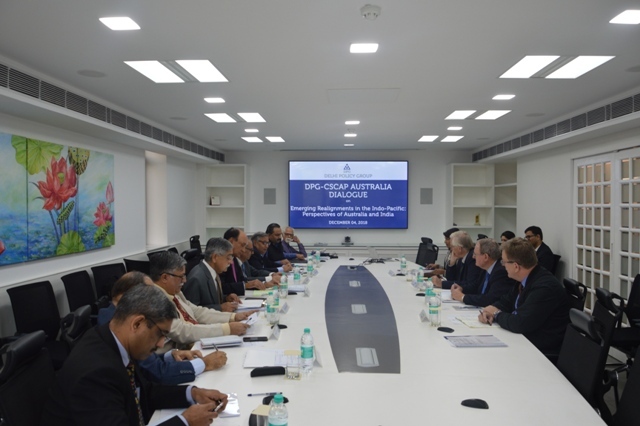 The discussions covered a range of topics including ‘Global Trends and Power Alignments’; ‘Defense and Security: Identifying Common Strategic Challenges’;‘Strategies for Shaping the Indo-Pacific Security Architecture’ and ‘Enhancing Bilateral, Trilateral and Quad Strategies’. 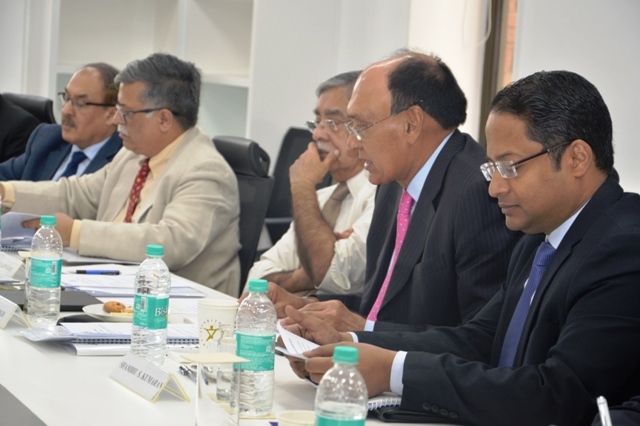 The participants observed the vast churning of the international landscape, analyzed the efficacy of the current regional security architecture, discussed how it could be reshaped in the Indo-Pacific and how best India and Australia could cooperate with each other.